Our core values represent the foundation of our expertise, exemplify what our customers experience in every interaction with us, and drive our business objectives. Our spiritual faith is paramount to all core values of the company. We respect and honor the importance of faith in God at home and in the workplace. Our faith in absolute truth leads and guides everything we do as a company. In line with our beliefs in biblical truth, our attitude is one of excellence. We approach every interaction between our team, customers, and partners with a spirit of excellence and respect. We do everything above reproach. Our customers and partners trust us because we deliver on our promises, and we preserve the confidential nature of our relationships and product development. Operating with a spiritual focus on being industry leaders, our team begins with the end in mind. We deliver on our promises and possess a high level of cooperation between our employees, customers, and partners. 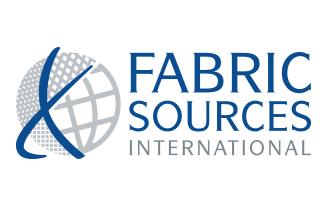 We are experts in providing nonwoven, composite, specialty, and woven products, and in developing and manufacturing composite solutions. We approach our jobs with a sense of ownership and take great care in what we do and how we treat others. With a spirit of gratefulness and thankfulness, our team is held accountable in how they oversee areas of responsibility, and are good stewards over every project’s budget and time. Our customers and partners can feel confident in knowing when they interact with us, we will take care of them. We get the job done no matter what. We exhibit a can-do attitude to working with our customers by being good listeners, designers, and engineers, and by working hard to deliver on promises we make. We develop solutions beyond expectations because of our product knowledge, creativity, resourcefulness, and ingenuity of our team. We have the ability to make quick decisions and adapt to our customers’ needs, market changes, and product improvements. We are honest in our approach to provide you the solution you need. Our willingness to try new processes, create new products, and enter into new markets has been and will continue to be crucial to our growth. In our fast-paced and ever-changing world, stability in our team and partners ensures we can provide our customers the experience they desire to have.